In February of 2016, we started to work on the marketing campaign for a show at Nat Geo that would be one of the biggest launches in our Channel’s 15-year history. It would be the beginning of a new vision for the channels – to deliver premium, on-brand content, partnering with some of the best storytellers in the world. “Mars” – executive produced by Brian Grazer and Ron Howard, would be the first series that kick off this new vision, and even though it was early in 2016, and the show wouldn’t begin airing until November, we had already started in December of 2015. Over the next 11 months, we created a ton of content and creative elements to support this massive launch, but for me, one piece in particular represented an entirely new way of approaching how we would promote a new series. 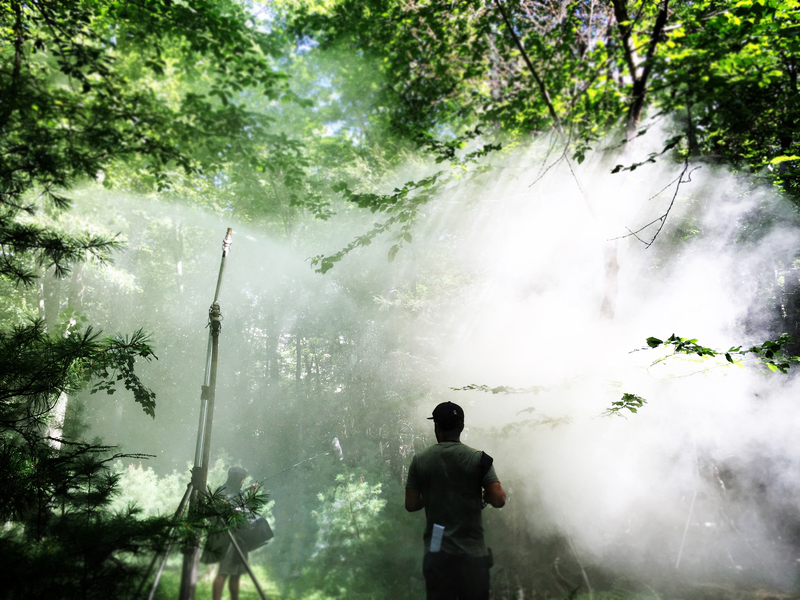 Director Lloyed Lee Choi in the heart of the misty jungle. Or, in a park in Upstate New York surrounded by rain machines. In the third week of October, we had completed “Before Mars” – the post was wrapped up, the color and mix with the team at Variable and Director Lloyd Lee Choi was complete, and the final, final, FINAL project was delivered and the process of getting it up onto our various platforms began. I wish I could say that part was easy, but it wasn’t. There were many versions of the final film made, and we even uploaded a version to YouTube on a Tuesday and then decided that we should put the Nat Geo logo on it, and put the credits AFTER the promo for the show at the very end, and so we took it down (after getting 10k views in a few hours) and then re-uploaded it back up again. We took a breath, had a drink or two to celebrate, and then hoped for the best. Lloyd and DP Kate Arizmendi look at the monitor in the diner scene on day 2. We did some promotion on VOD and on-air, and the views started to pile up on YouTube, and while we didn’t get the prized Staff Pick on Vimeo (I have convinced myself that Vimeo won’t put up anything quasi promotional as a staff pick), we still started to gain traction and attention for this film. It was released 3 weeks prior to the launch of the actual show on Nat Geo, and was available online, and basically on every platform (Amazon, Hulu, iTunes, Youtube, Vimeo, VOD, Nat Geo TV, Google Play). We never did succeed to get sponsorship for it from an advertiser (we tried pitching some automotive and tech companies, but the potential viewership was probably not enough to entice them) so by the time we entered into production, the goal was to get a little attention for the linear TV series through the prequel, and drive interest in the characters with the hopes that it would convert people to want to watch the main series itself. We had the luxury of doing a little world-building with our characters, and hopefully to allow the audience to form an emotional connection to the characters from the show, by knowing their past a bit more. It’s pretty difficult to know if we were successful or not – we saw that the biggest viewership was on YouTube, with almost a million views (and still slowly counting), and an overwhelmingly positive response in the comments (and anyone who has posted on YouTube before knows that it’s rare to get much love in the comments section!). So…was it a success? What did we learn from it? What do I think about it now, some 4 months after it first dropped online? And what do the people who were on this crazy journey with me think about this project? One of our favorite shots, the blue/red room scene with Hana. Before I sat down to (finally) write this post, I watched the whole film again – I’ve seen it probably well over 100 times by now, and I know every single moment or every single scene of the film – every edit, every music change we made, every shot decision (and I was there for the entire shoot, too, of course). As any creative tends to do in this situation, all I see are the things I don’t like or wish we’d had the time or resources to change! I actually debated with myself a little bit about whether or not to call that stuff out, but in the spirit of this blog’s transparency, I think it’s ok to reflect about it and look back at it honestly. Editor Caitlin Carr, editing the footage on-site so we could see how scenes were cutting together each day. One thing we spent a lot of time discussing as a team was the mood of the film. As we were going through the shoot and the edit, I wondered if perhaps it was too sad or moody – we needed to make something beautiful and artful, but also something enjoyable to watch. We weren’t trying to make “Moonlight” after all – we wanted to capture an exciting and inspiring moment in the characters’ lives, not a sad moment. I do want to thank Lloyd and Rebecca Strom, the writer, for constantly hearing me on that point, I think it could have easily gone too dark or moody if we hadn’t kept that filter on at all times. I always wanted the final piece to have a “good heart” and not be overly sad, or overly happy. Like some of my favorite films, I wanted it to feel honest and sweet. Creative Director Tyler Korba, who was a huge creative influence on the project at every step, liked that we pushed the pacing into some slower areas. “There’s a patience to it, which suggests a certain degree of confidence in the storytelling; it isn’t rushed or racing to grab your attention. You kinda have to settle in with it and get used to the way that it carries you along. 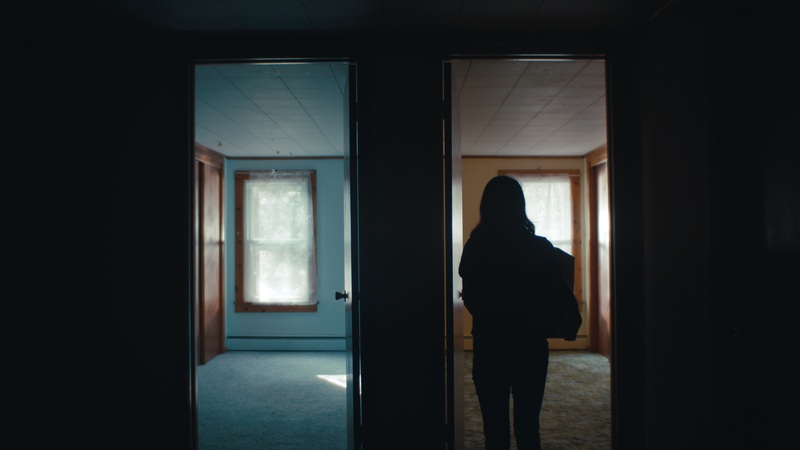 With so much of the rest of what we do being hell-bend on getting as much information and story in to as little time as possible, it’s really nice to just let things breathe for a change.” I think this is a good place for a special shout-out to our DP, Kate Arizmendi, who did a masterful job framing and shooting and lighting (with her incredible team of course) the entire film. I get so many comments from people about how beautiful and artistic it turned out, which is a testament to her hard work. She was also very receptive to making sure it wasn’t “too moody” as I put it, but that it still had the quiet, practically-lit aesthetic that we were all going for. Our rock-solid second unit capturing exteriors and scenics. 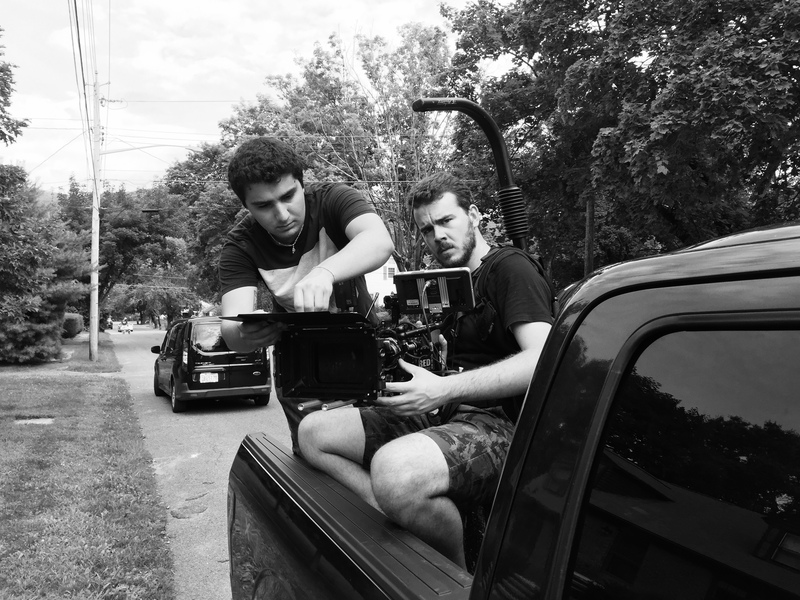 Director Jon Bregel and AC Rocco Campanelli. WHAT DETAILS WOULD I/WE CHANGE? 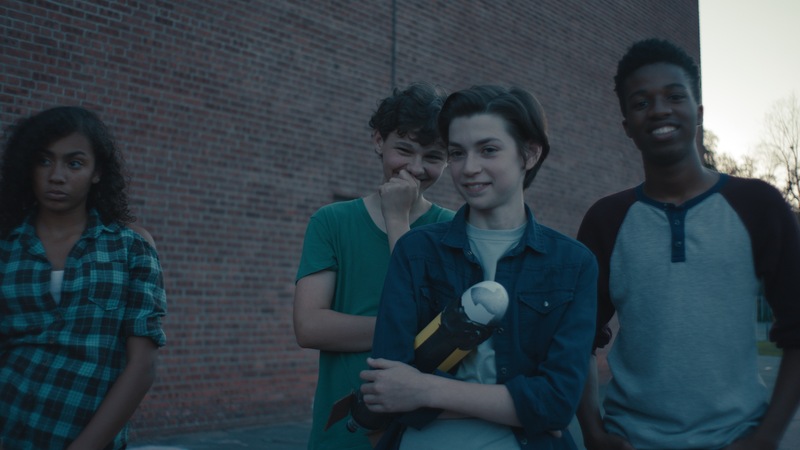 In hindsight we probably cast our babysitter as slightly too young and close in age to the two protagonists – which made it less believable that they would even need to have her there. She was a great actress (and quite funny – a lot of her best work is on the cutting room floor, due to us having to keep the story moving) but perhaps we should have cast an older woman as a neighbor helping out the mom. But for the most part, the collective ‘regret’ if we can even call it that, is more about the time we had. We ended up shooting about a 48-minute film but needed it to be much shorter than that, for both pace and story flow. The strongest scene in the film is arguably the very last one when Hana is on the mountaintop, and we wanted to make sure people got there. Which meant that a lot hit the cutting room floor. Perhaps if we had cut those script pages prior to shooting, we could have had even more time to develop the film and certainly not have been as rushed during the shoot. In speaking with Lloyd Lee Choi, the director, that was his biggest regret as well. “I wish we had been able to push for more time, I think that was our biggest enemy forcing us to rush through all those scenes. I’d rather scale down other things and have time.” And Tyler put it quite nicely when I asked him the same question. “One of the biggest lessons to learn from a project like this is accepting what you were able to create within the parameters you were given. There will always be things that could have been better, but accepting the outcome and embracing what you were able to do is an important part of learning.” So, just for kicks, what did hit the cutting room floor? Tyson – the bully – one of our favorite actors that ended up on the cutting room floor. We had a lot that ended up getting cut, and we got some great performances from actors that never made it to the final piece. One of those was the character of Tyson – he was a schoolmate of Hana’s, and was sort of our “bully” character. Hana (played by the actress Nekhebet Juch) was working on building a baking-soda powered rocket (yes, that’s something that’s possible) and Tyson gives her water rather than vinegar – which causes her experiment to fail miserably in front of her classmates. The intent was to continue to show Hana’s isolation at school, and the actor playing Tyson was quite good – smarmy with a dash of arrogance! But in the end, the scene just took too long to play out, and slowed down the pace. We also had a love interest for Joon (played by her twin sister Uatchet). Some people have asked me where Joon got her ham radio. We saw her pick it up in the thrift store before they ran out with the “mean girls” and then magically she had it when she decided to contact Hana. In the original cut, we are introduced to Kyle, a classmate who has a crush on Joon, and she gets Kyle to go back to the thrift store and buy it for her. Again, as we had to cut time and keep the story moving, it hit the floor…along with a scene that showed Joon and the mean girls misbehaving in an abandoned lot (where she meets Kyle). Another cutting-room-floor scene was focused on Albert – during the big storm (thank you, rain machines) Albert’s antenna falls off the roof and he has to quickly look around his house and build a replacement antenna to contact Hana. But Albert’s DIY episode just wasn’t that critical – it was written to display struggle and overcoming adversity, but ultimately we just needed Hana to struggle, which she certainly did. Rebecca Strom, the writer (along with Lloyd) did an awesome job building those scenes, and I’m sure it was even harder for her to see them go, I am sure. But ultimately, those hard edit decisions were critical. Those scenes seemed essential at one point, but once we cut them, the film just felt much tighter. Carl and his dentures. Two of our favorite local characters. In the diner, the guy named Carl puts his dentures in a glass of water and when Julia yells at him, he says “it’s only soup.” That line was improv’d by the actor, not scripted, and the actor was actually a local farmer (and his name was actually Carl, which was a spooky coincidence). We’d location scouted his field for a biking scene, and he seemed like the perfect Carl character. Due to our tight shooting days, especially with Hana who was in most of the scenes, we had to use her twin sister Uatchet as her body double from time to time. One of those scenes is on the wide shots of Hana biking home from Alfred’s house at night…it’s actually Uatchet (who played Joon). There were only a few teacher-extras in all of our school scenes. If you look closely, you can see one of the extras multiple times in different locations. And the farmer at the fruit truck that points Hana towards the mountain is John Simonetta, our Production Manager. The attic where they find the radio is in a different house than the attic they climb up to. We had a different location for the actual attic since Hana and Joon’s house had a very small attic. The blue/red room scene where Hana walks upstairs to unpack her boxes is one of our favorites, and some of it was just pure luck. That we had two kids’ bedrooms, one painted blue and one red, was pure coincidence, but as soon as Lloyd and the scout team found the location they loved the symbolism of Hana picking the red room (as she is the sister that would go to Mars in the TV series) and Joon in the blue room (she stays back on Earth). 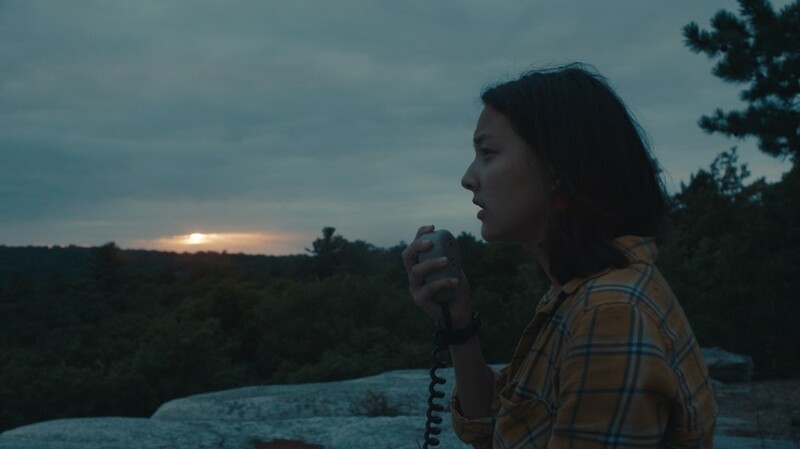 The battery cover of the HAM radio that Hana has to tape over was actually found that way by our Art Director Joe Sciacca, which led to that part of the story. We knew we needed a time for the radio to not work that she needed to fix after the storm, and since the battery backing was already missing, that became a nice little callback from earlier in the film (when Albert hits the radio). So, the prop helped develop a plot point! The ‘hero’ Ham radio is still sitting on my desk at work. Variable has Joon’s radio in their office (along with a million Mars bars that we sent them after the project wrapped up). The film initially was planned to be a six-part series, with an episode released each week leading up to the “MARS” premiere. When it was all done, at the very last minute (the last day before delivery) a group of us at Nat Geo watched the entire film in 6 parts and collectively decided that the creative just worked better as one continuous 32-minute film, rather than breaking it up into pieces. We might have even aired the show on TV, but it was too long to be a half-hour show (those need to be 23 minutes with commercials) and too short to be an hour show (those need to be 48 minutes). Haha (Nekhebet Juch) on her radio on day 1. I asked Tyler, Becca and Lloyd what their favorite scenes were, as well. Lloyd’s was the opening moments with Hana and Joon as they discover the radio in the attic, Becca loved the scene with Carl in the diner. “Carl was based off of an older gentleman who was a regular at the restaurant I worked at when I was 15, my first job. But other than Carl, I really love that scene for the chemistry between Hana and Albert when they first meet. The actors’ performances were just fantastic and that scene gives me goosebumps every time I watch it.” The ending is one that I think we’re all happy with, including Tyler. “I think we all talked about how that final montage would work in a broad sense, but seeing it all come together with the voice over from the astronaut and the footage that was shot was really cool… it felt like a real culmination of things and I think it’s the most emotional part of the film.” Some of my favorite days on set were actually when I was working with the second unit (led by Jon Bregel). When I am on set, I enjoy working – getting my hands dirty and helping out and being part of the process. On some days, there were times when I got a little antsy, so I’d hop on board with the second unit to capture scenics and exteriors. Working with Jon and Rocco, shooting biking shots or sunrise beauty shots were some of the most fun days I had! And I think one of my favorite moments from the film itself is actually one that started out as one of my least favorites. Hana is riding her bike to the mountain, and she hears her radio buzz, and it’s Joon on the other end. She stops her bike and they have a quick conversation. That’s when Joon has ‘come back’ to Hana and realized that her sister is her ‘home’ and they re-connect. That scene was one of the very first scenes we shot on the very first day of shooting. I remember having a bad feeling about it, as it was feeling really flat in person, and didn’t have that degree of emotion I was thinking it should. Something just didn’t feel right. But once we got into edit with the awesome team at Irving Harvey, and cut back and forth with Joon on the other end, and with the music (a big shout out to our composer Edo Van Breeman who really nailed the quiet, emotional vibe just right, along with the sound team at DeFacto), this moment really accomplishes that “big heart” goal I think we all set out to hit. Another great reminder that details you add in post can really bring a scene home. Lloyed and Nekhebet working outside the diner on the scene where she meets Julia. Before working on this film, I had never worked on a single scripted…well, anything, really. Most of my contributions to this project were done based off of my gut – and of course, I watch a LOT of television. Sure, the film is not perfect. Very little is. But what’s great is that we all tackled this project together, our team was dedicated and incredible, and I believe you can feel the passion and commitment from everyone on the screen. I’ve been in TV for over 20 years now, and I’m proud to say that I don’t have all of the answers. There is so much I learn every day – about storytelling, filmmaking and working closely with a team to bring a great story to life. Was it a success? Maybe, maybe not, depending on what metrics you look at are, I suppose. Anyone could argue one side of that or the other, but there is absolutely no doubt that creatively it was a success. A few weeks after it launched, I was looking through Amazon on my TV, looking for a show to watch late one night, and there was an icon for Before Mars, staring back at me. I’d seen the film many times by then of course, but I clicked on it, and watched it at home on my TV. And seeing something that we’d all worked so hard on streaming on my TV right in my own living room was one of the biggest successes and proudest moments of my entire career. Thank you to everyone involved – there were so many people that poured their heart and soul into this project, and I greatly appreciate all of your incredible efforts. On set on day 1, picking the hero bike with Kate, Becca, Lloyd, me, Brad Burke and Nekhebet. POSTSCRIPT: BEHIND THE SCENES VIDEO. Ok, I couldn’t TOTALLY ignore the production BTS in a blog post! We also had a couple of days on set to capture the story behind the climactic final scene of the film. If you can get past me rambling on and on (there’s gotta be a drinking game where you have to take a shot every time I say “International Space Station”), it’s a good look at how we captured the big finale. Big thanks to Caleb Adams, our one-man BTS wrecking crew.